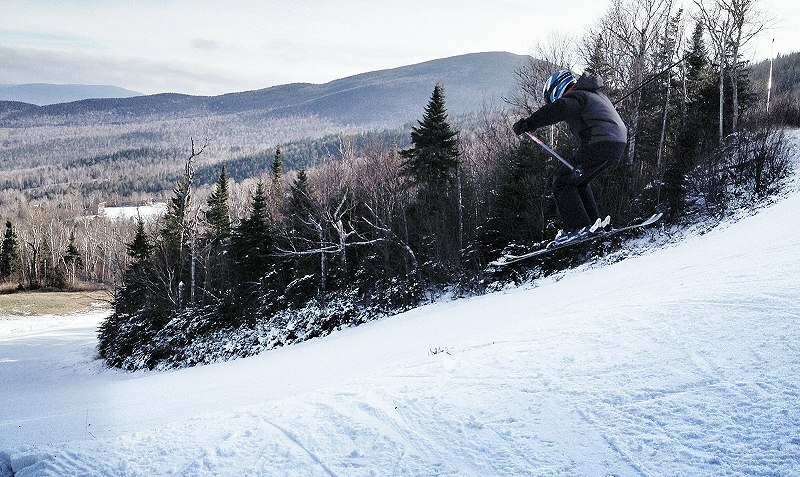 @MaineSkiFamily 2012-13 season is underway! 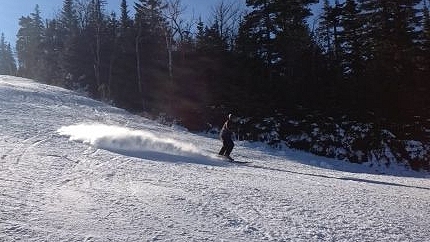 The @MaineSkiFamily boyz got at it at Sugarloaf today and it was a really fun time. Sugarloaf has done a tremendous job getting some great terrain open for all ability levels. We got out the door fairly early and clicked in around 9:15am. 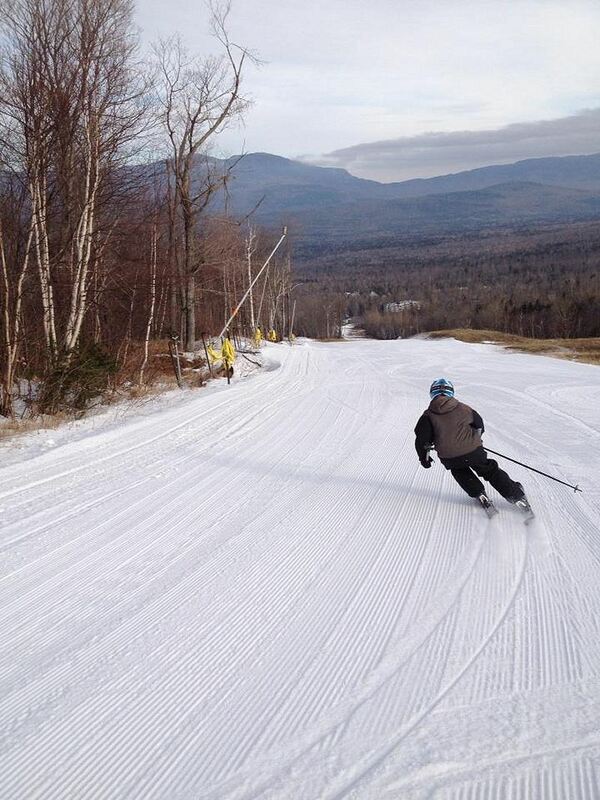 Sugarloaf was running the Double Runner chair along with Skyline. A great early season setup as it gets you higher on the mountain with lots of terrain choices. We were excited to get going as the Wednesday before Thanksgiving is our traditional 'opening day'. We took a couple of warm up runs down Lower Winters Way, a green trail with some fresh cord to carve up. YUMMY - Just like carvin up a Thanksgiving Turkey! Kudo's to Sugarloaf for getting some green circle terrain open. 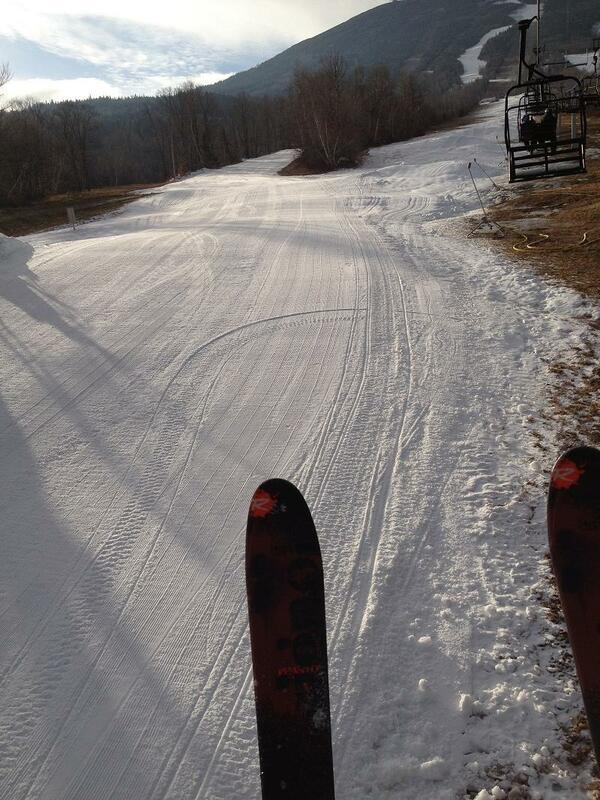 It was great to get the legs going on skis again. We then boarded the Skyline chair, a nice fixed grip quad with a carpet conveyor loading system to get us up the main mountain. We skied Tote Road and Kings Landing both holding very good snow. Tote was a little chunky up top but got chewed up as the day went on which helped. Kings stayed great all day. The only ungroomed trail on the mountain was Hayburner with piles of snowmaking snow to navigate around. It was a bit gnarly but we scratched our way down. After lunch we skied Skidder which was surprisingly good with the groom. Typically in mid-winter this is a mogul minefield but skiing it groomed was fun and it held good snow. We didn't get on Sluice as the headwall looked kind of scratchy and we were having a ball on the other trails. We lasted until 2pm and called it a great first day. A super start to the season and well worth the trip. Go on up to Sugarloaf and get it!